- Are you at risk? Heart disease can often be prevented so it is important that you know the risk factors and your individual risk level. 9 out of 10 Australians have one or more risk factors for cardiovascular disease, do you? 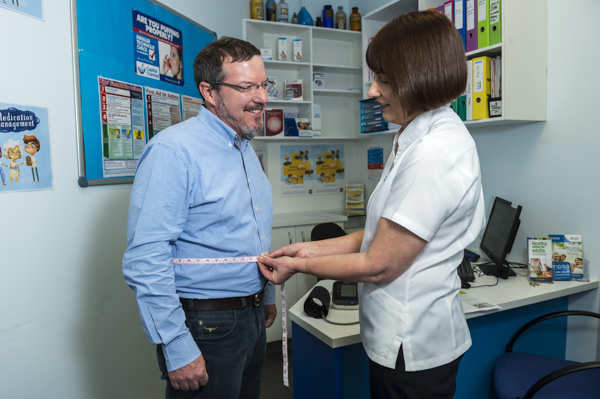 Capital Chemist can help – see one of our pharmacists for a Heart health check. For just $10 one of our pharmacists will provide a risk assessment screening for you. This takes approximately 10-15 minutes, is painless and non-invasive. Some Capital Chemist pharmacies can offer you the risk assessment, plus check your cholesterol, for just $25. Ask your Capital Chemist pharmacist today for your Heart health check. There are lifestyle factors that affect the health of your heart. Diet and nutrition, as well as exercise are key contributors. Capital Chemist recommend healthy lifestyle choices – ask our pharmacists how you can better look after your heart.